Lily of the Nile (Agapanthus spp. ): growing, planting, caring. A huge, magnificent flower from South Africa that blooms in the summer bluish-white umbels. Flashy? Oh...just a little. Scientific name : Agapanthus spp. 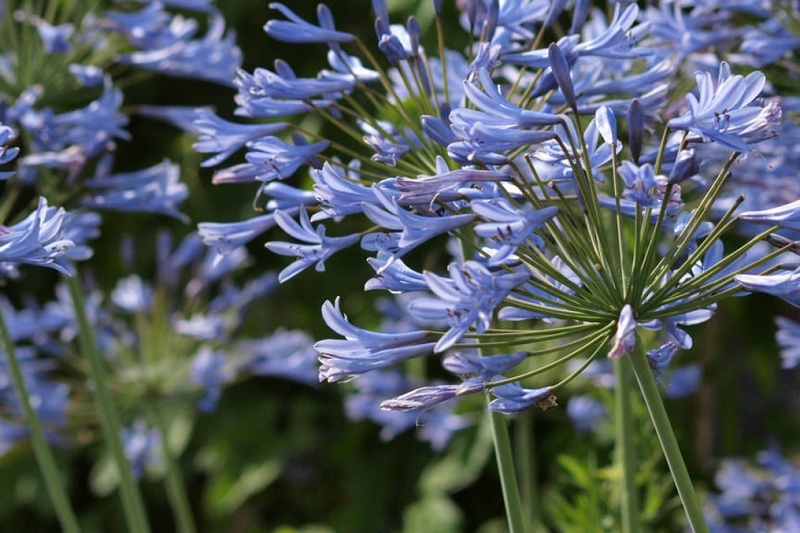 Agapanthus is a splendid perennial that will bloom for you from spring till the end of summer. Rather sensitive to the cold: in a chilly climate, it will need to be grown in a pot or a container garden because it must be protected from the frost in winter. 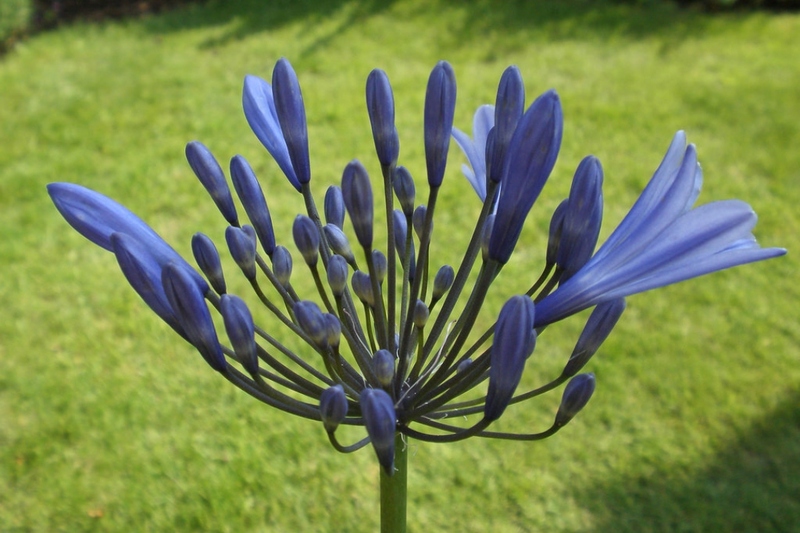 Careful, many agapanthus plants that can be found in stores are hybrids, so the quality varies. These herbaceous and rhizomatic plants have round, umbel inflorescences that may be identical or intermediate, with blue or white flowers. 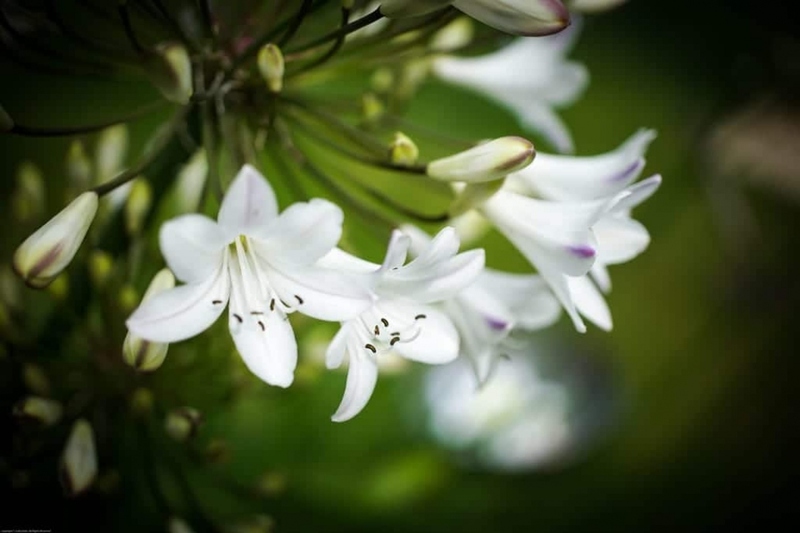 Agapanthus is endemic to South Africa and shares some characteristics with the Alliaceae and Amaryllidaceae genera, without the scent of the Alliaceaes. In a pot or in the open soil? Agapanthus tolerates short periods of freezing, but it won't withstand a hard winter — remember this in case you need to keep your plant in a pot to protect it from the freeze! For regions with fairly cool winter climates, plant your agapanthus in spring so it will be able to become hardy before the first winter. Elsewhere, you can plant up until autumn, but in any case outside periods of extreme heat or cold. Plant it, or place it in a pot, in a very sunny location — this'll guarantee a beautiful flowering — in well-drained soil. Don't bury the rhizome too deeply — dig a hole equal to the height of the rhizome plus a few centimeters, then fill in and cover without tamping the soil too much. Water copiously! If potted, offer your plant a container suited to it's dimensions, at least 30 by 30 centimeters in diameter! Add a thick layer of drainage stones or pebbles to 1/3 the height of the pot, then a mixture of garden soil, light potting soil, and sand. Agapanthus fears an excess of water! In a pot, water in case of prolonged dry periods, while indoors during winter, once a month will suffice. In open soil, watering isn't necessary, except for the first year, and obviously in case of extreme drought. In open soil, cut the foliage before winter and cover the base with a thick mulch of whatever you have on hand! You may even add, if needed, a cold-weather cover. You may take your potted agapanthus outside as soon as the last freezes are finished. Find it a very sunny place to stay! 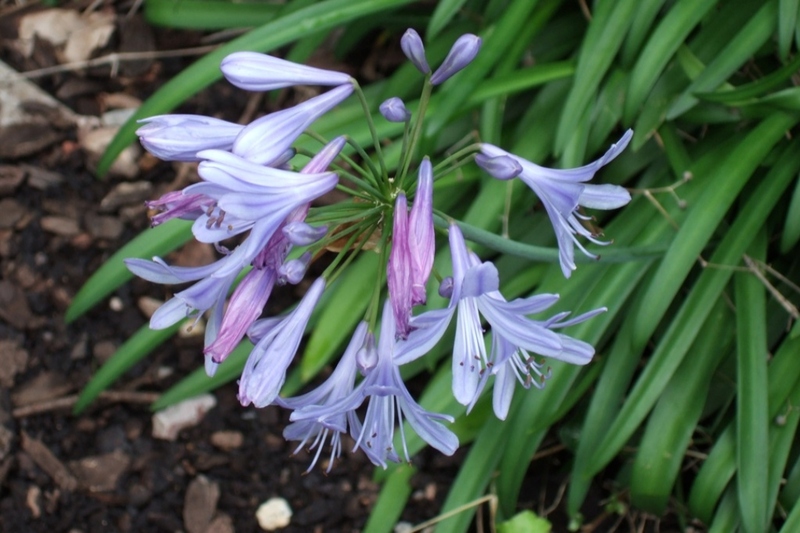 Agapanthus is susceptible to freezing — it won't survive a particularly harsh winter outdoors! If you plant is in a pot and you have access to a well-lit, sheltered location where temperatures don't drop below 10°C, put your agapanthus there before the first freeze. Remove the saucer from under the pot, or remember to empty it after each watering, approximately once a month. You can take it outside again in May. Trim the foliage of your potted plant at the end of winter. Also : vigilant deadheading will prolong the blooming period ! Every two years, repot your agapanthus in a slightly larger pot. Bring a thick layer of drainage, balls or pebbles, 1/3 of the height of the pot, then a mixture of garden soil, light soil and sand. 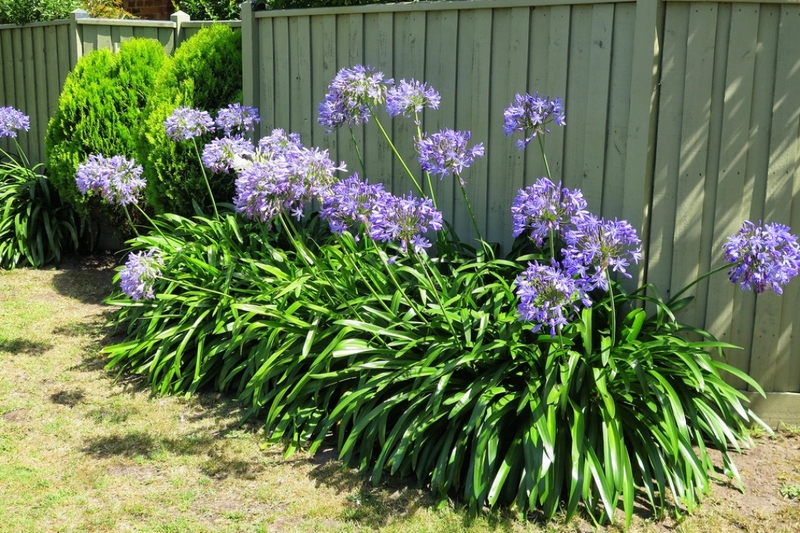 If the agapanthus has become too big to be repotted: replace the top soil with compost or potting soil.